Is using an additional presentation package, like Lumion, worth it? Will it result in a better visual result? Will the performance be acceptable? 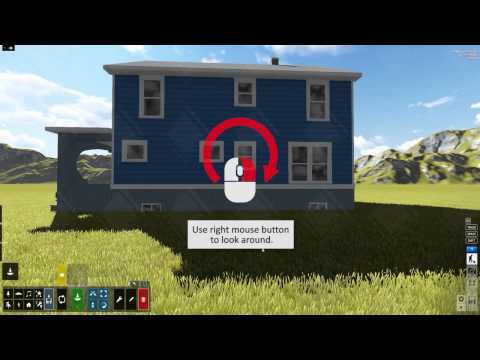 I received a review copy of Lumion 5.3, and tested it using Revit 2015 Update 7. 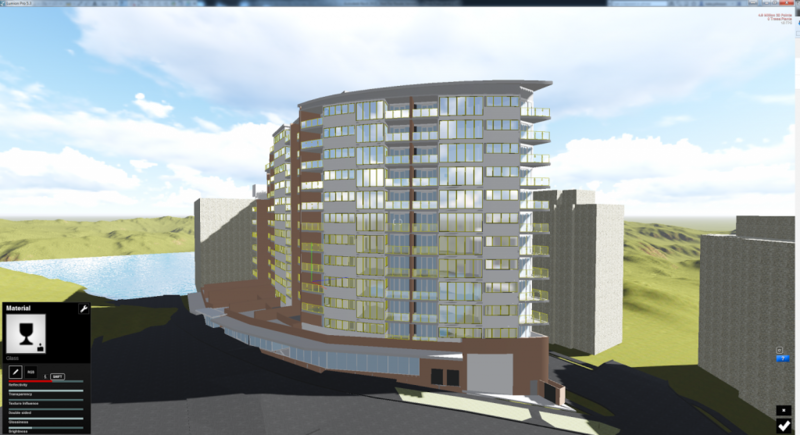 As usual, I have reviewed the software, but at the same time I am sharing practical tips and guidance on how to get up and running with Revit and Lumion. To start with, let’s consider whether Lumion can really add value to your current design and development pipeline. You may be thinking “I don’t have a clue how to make a fly-through animation“, but that is where Lumion lives. 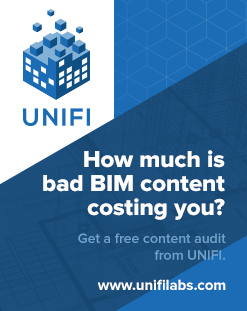 It makes it easy for you to take your BIM geometry, and put it into a real, living environment. 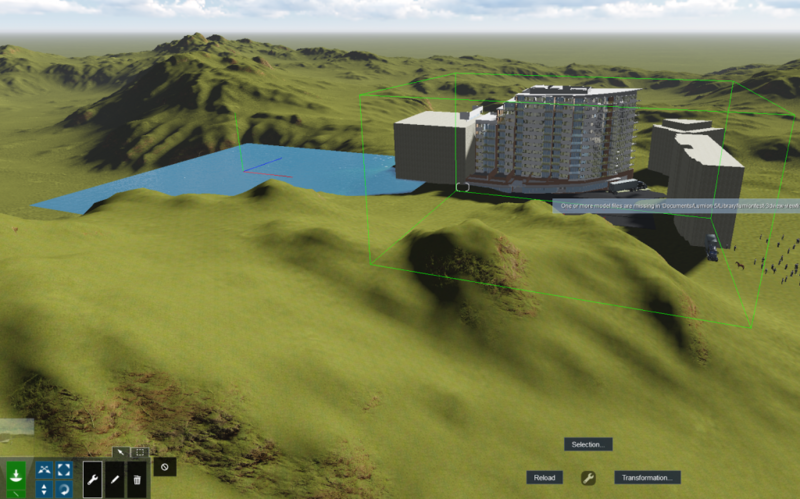 In a sense, it is a ‘complete’ visual presentation package, as it includes things like environments, backgrounds, materials, weather effects, water, entourage, vehicles, people, trees, landscape, furniture, terrain modelling, and it is all in a package that allows you to modify, manipulate and tweak basically everything in real-time. It has a clean UI and extremely fast rendering capability. For output and deliverables, you can easily export still images or rendered videos of the scenes that you have composed. Note: I was expecting to see a Revit addin automatically installed… but I have since realised that this is an additional step… see below. The installer is specific for your Lumion License. You can copy the Lumion installer to other computers or your network drive. You may install Lumion on multiple machines. When you start Lumion your license is flagged as in use. CPU: A CPU with at least 6,000 PassMark points. Click here to see the PassMark list. Graphics card: A card with minimum 2,000 PassMark points and at least 2GB dedicated memory. Click here to see the PassMark list. Examples of cards with about 2,000 PassMark points: GeForce GTX 745, Quadro K4000M, GeForce GTX 570M or faster. Using Lumion and Lumion Pro via Remote Desktop or similar virtual desktop solutions is not supported. 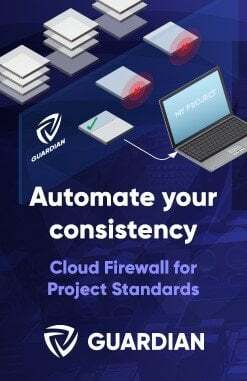 Lumion and Lumion Pro require an internet connection. 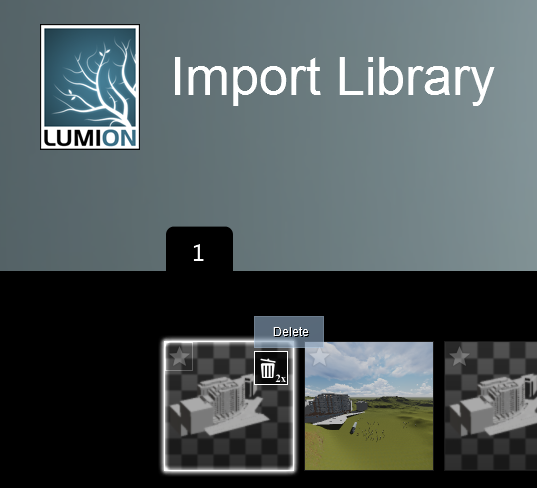 There are a number of ways to move data from Revit to Lumion, such as using DAE format via Exporter, or FBX via built-in export. The dedicated DAE exporter addin from Revit is the recommended method. Ensure that a Crop Region is applied and Visible, and the view is “unlocked”. Once in Lumion, you can use the WASD keys to walk around, and QE keys to move up and down. 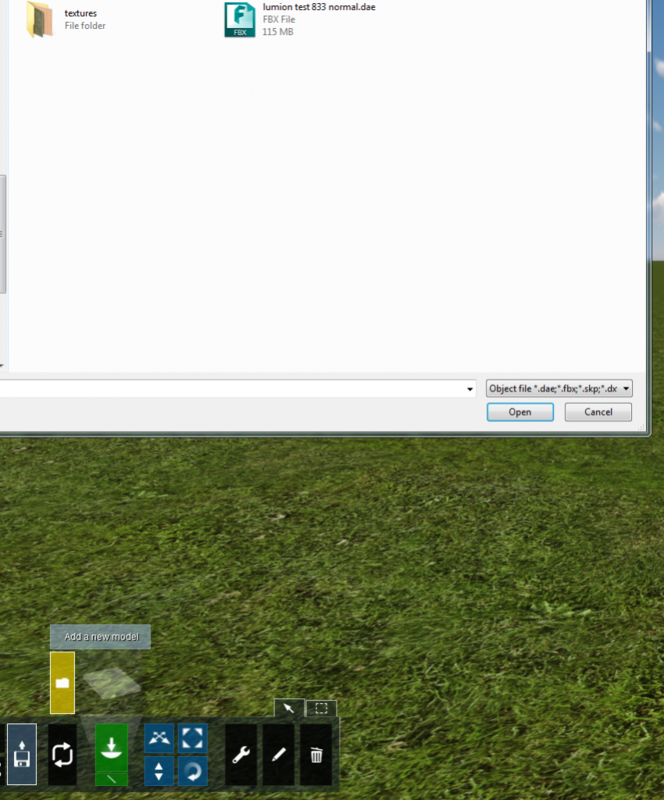 If you hold the right mouse button and drag, this will change your view direction. Holding Shift will speed up your movement. It is quite a fluid navigation system. F1/F2/F3/F4 turns shadows on and off and makes other quality vs performance changes. To bring in external models, like DAE or FBX exported from Revit, use the Import models option. 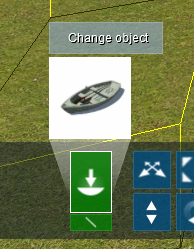 It is interesting to note that even new objects (ie. newly added to the Revit model) that have a Revit material name matching a currently overridden material in Lumion, will then adopt that Lumion material when the import is reloaded. Nice! Easy Architectural Visualization in 15 Minutes. from Lumion on Vimeo. Add to that: movie effects, ocean / water, the large model and material libraries, lighting effects, render quality, and the overall ability to transform a scene from a collection of polygons into something that more effectively represents the real world. 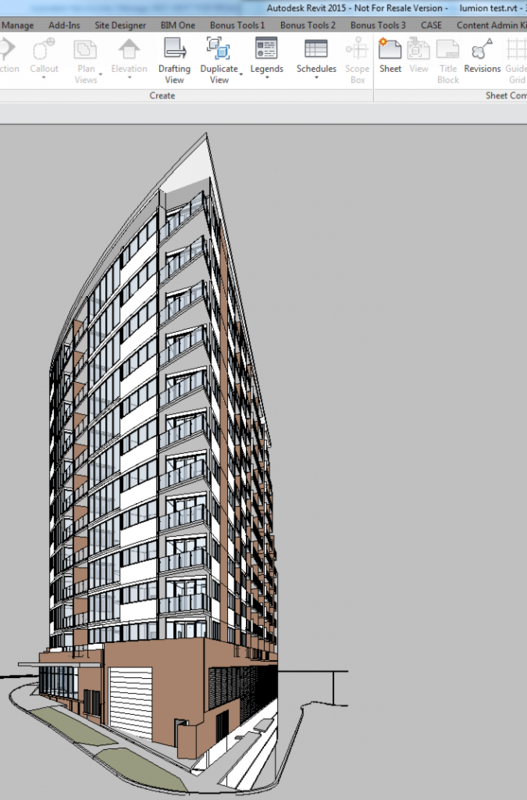 The Collada DAE export was very, very fast – under 1 minute for a 150mb Revit model. Accordingly, of all the file types that can be used to get data from Revit to Lumion, I would expect that the recommended and preferred method is via the DAE export in the free addin. Lumion is targeted at rapid, real-time, moving animations with models that may also be animated. So the result is usually something that looks very ‘alive’. Coming from an architectural background, you may initially be surprised at the overall ‘look’ of things and you might find it slightly cartoonish. However, I recommend that you give it a try and have a go at tweaking a few of the display settings. It is very easy to create a flythrough or fly around animation. Just start the movie tool with the film icon, then create a number of keyframes as you would with other animation tools. Then, you can easily export to mp4. Q. Is using an additional presentation package, like Lumion, worth it? Q. Will it result in a better visual result? A. When it comes to real-time scene export, a Lumion visualization can be much more alive and animated than a Revit equivalent. You can also easily deliver your scene as a selection of high quality images, or as a rendered video. Q. Will the performance be acceptable? 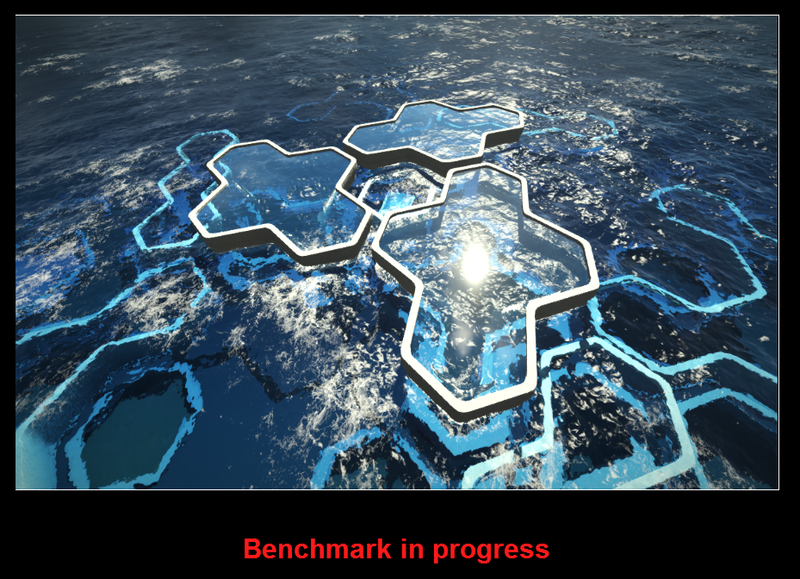 My overall software score for Lumion 5.3 is 9/10. Its definitely worth a look if you do any kind of presentation work with 3D models! 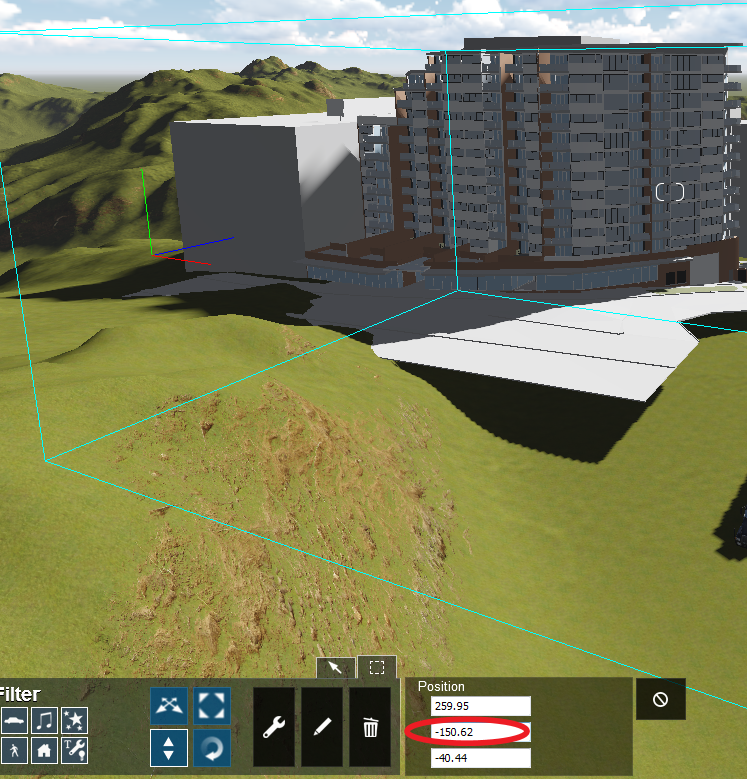 In a future post, I want to look at the large-model workflow from Infraworks to Lumion via FBX. If you migrate your work from earlier Lumion versions take into account that the material system has been changed in Lumion 5. This requires you to re-apply the materials to your objects. 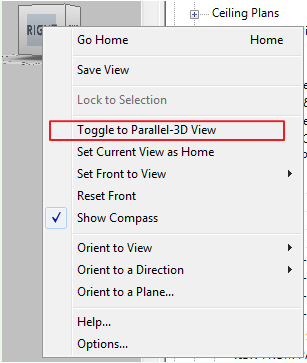 Revit To Lumion Bridge (v1.4.4) – for Autodesk Revit 2015. 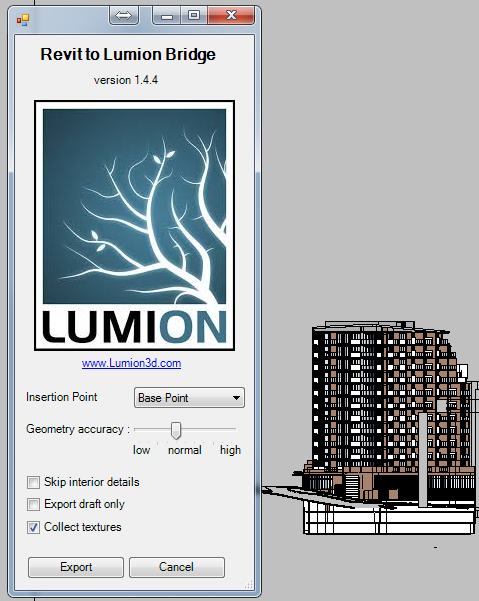 Revit To Lumion Bridge (v1.4.4) – for Autodesk Revit 2014. 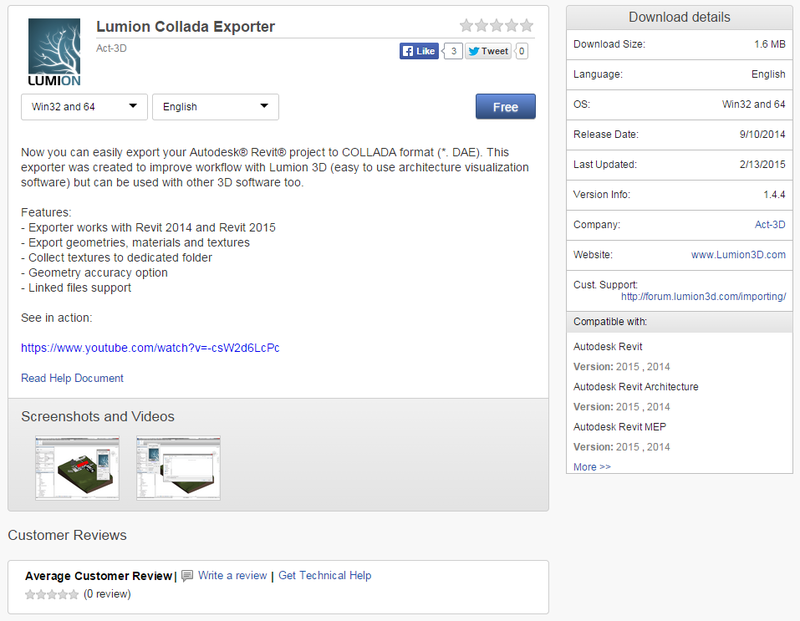 Download Revit 2014 COLLADA exporter (v2.12). Download Revit 2013 COLLADA exporter (v2.12). Download Revit 2012 COLLADA exporter (v2.12). 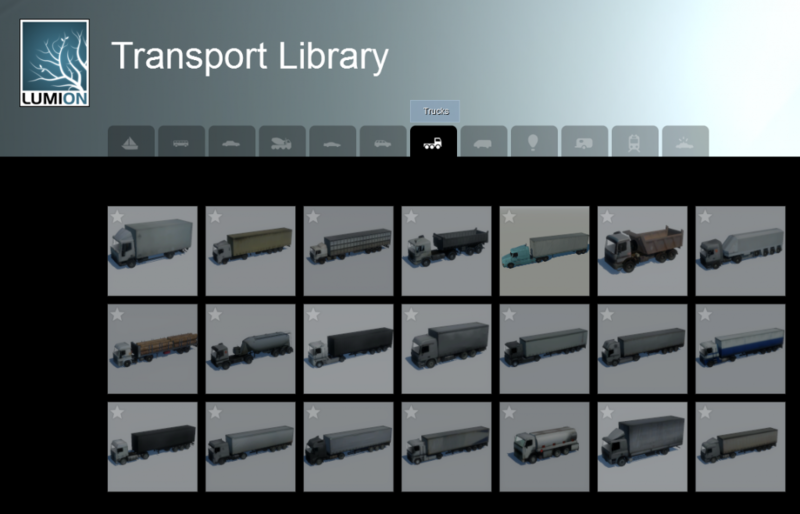 You delete imported objects by using the Imported Objects Library. It cannot be deleted from the Library if you have a scene open and using that object, so first clear and start a new empty scene. Then in Build Mode click on Import button –> Change Import Object –> locate your object to delete and doubleclick the Rubbish bin. That will permanently remove the object from the library and the files. “In the interests of editorial disclosure, I would like to note that this review was completed with some financial consideration from the developers of Lumion. I have been familiar with Lumion for some time. A full scale Lumion review has been on my radar for a while, but like anything, it takes time to have a proper look at a piece of software. My past experiences with Lumion had been hampered by less-than-stellar hardware. You really do need a decent workstation to have a fluid and productive time with Lumion. In my case, my new workstation at Virtual Built has 64gb of RAM, a 6 core (12 hyperthreaded) processor, and a Quadro K4000 video card.